Ana Solorio is a Manufacturing Technology Engineer at DuPont Tyvek®. As I was growing up, my paternal grandparents shared with me their immigrant story. They participated in a U.S. program that brought Mexican agricultural workers to the hot fields of the U.S. for half of the year. As a result of the program, their hard work, and their sacrifices, my grandparents were granted residency, then citizenship. My grandparents supported my dad to become the first to graduate from college in his family. My parents immigrated permanently to the United States during their young adulthood. As I was growing up, I began to learn English when I was five, despite being born and raised in California. I was excluded for having an accent when I spoke. "You can't sing in the talent show with us, you talk funny!" As I was growing up, my family and I moved to Missouri. I listened as a classmate read her paper out loud to the class on her factually incorrect, distasteful, and fearful view on immigration and immigrants. "You don't belong here." As I was growing up, I was sad and confused at times as I faced my peers' conscious and unconscious biases about who I was, who I could not change. "You're Mexican, I know, but you're not really Mexican," their voices rang as they tried to define me because I didn't fit into the stereotype in their head. Perhaps this was due to the shade of my skin, that I am a United States citizen, or my education, which have all proven to be privileges time and time again. My parents taught me forgiveness and to put myself in my classmates' shoes. Their fear and hateful words maybe came from ignorance, they said. I had to proudly share who I was and learn about experiences different from my own, while speaking up against injustices. "You are not worth more than anyone and no one is worth more than you." As a Mexican-American woman solving problems in innovative ways alongside you all, I didn't know the extent of the glass-ceiling until I left the bubble of academia and research. My values and what I know to be true, right, and just echo in my mind after feeling dismissal and being reminded of who I am more often than my capabilities as an engineer or ability to lead teams. Not having the space to make mistakes or fail due to losing credibility much quicker than male colleagues or having less women like me to look to in formal leadership positions are a reality. I'm not a child anymore and alongside me are adults that once were children, too. Being an adult doesn't mean we know everything, but now we have the responsibility to teach our children about the world we live in and shape it to what we want it to be. Diversity and inclusion do not occur naturally. Data and my experiences prove it. Our biases turn into systemic factors that prevent our collective success of including everyone's work and experiences despite their identities. Let's become aware of these biases, acknowledge them, and proactively bridge differences to unite us rather than divide us. Everyone in this world is created equal. Dr. Martin Luther King, Jr. had a dream. I have a dream. We all should have a dream. Dr. King's dream is not a reality yet. Neither is mine. Is yours? 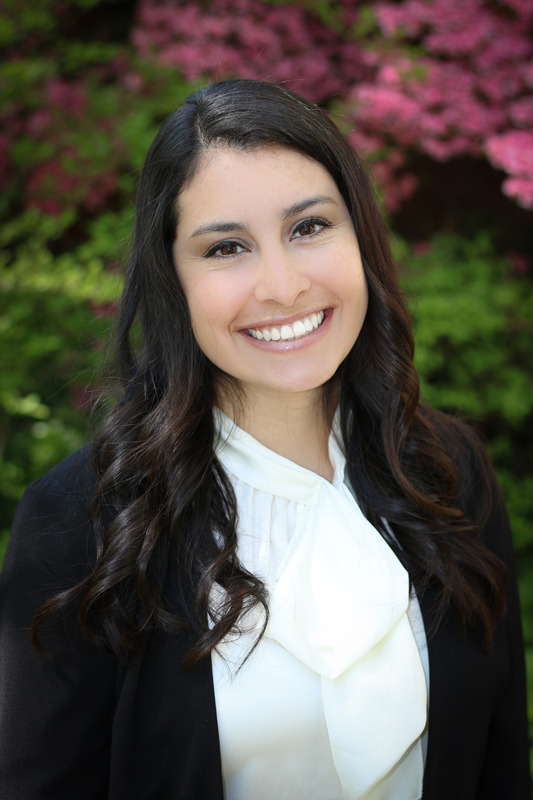 Ana Solorio is a Manufacturing Technology Engineer at DuPont Tyvek®. She is a 2014 graduate of Washington University in St. Louis. Ana shared her personal journey and reflections during DuPont’s Annual Day of Celebration honoring the life and legacy of Dr. Martin Luther King, Jr. in January 2017.